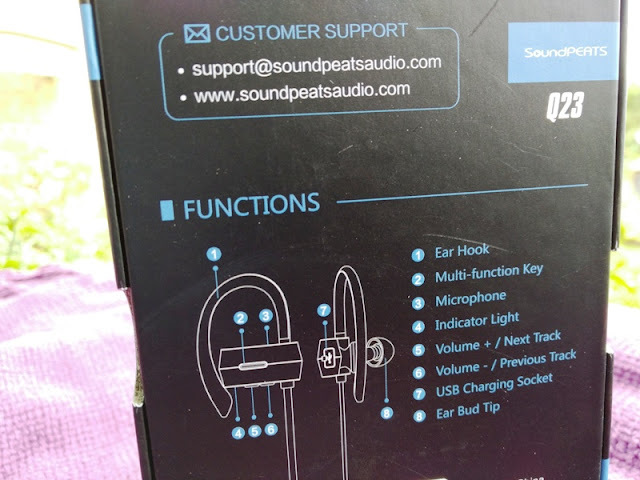 SoundPEATS Q23 Bluetooth 4.1 Running Earphones That Don't Fall Out! 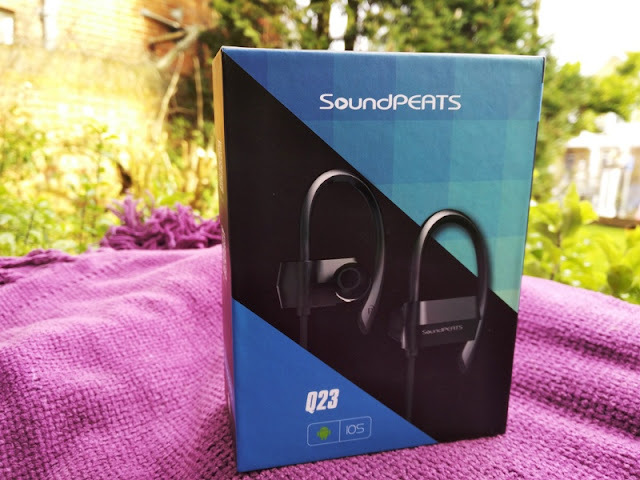 If you're looking for a pair of earphones for running that don't fall out, check out the SoundPEATS Q23! 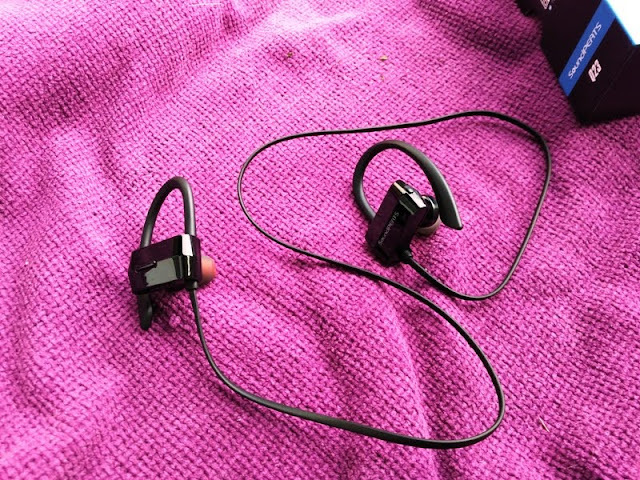 The SoundPEATS Q23 fit inside the ear canals and come with ear loops that hook over your ears to prevent the earphones from falling out. 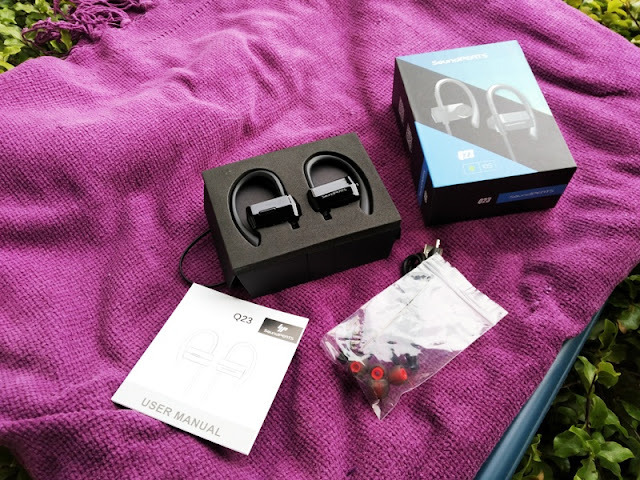 I use several pairs of headphones, including ear hook headphones and I can tell you that earphones with hooks are particularly useful when running outdoors or on a treadmill at the gym. 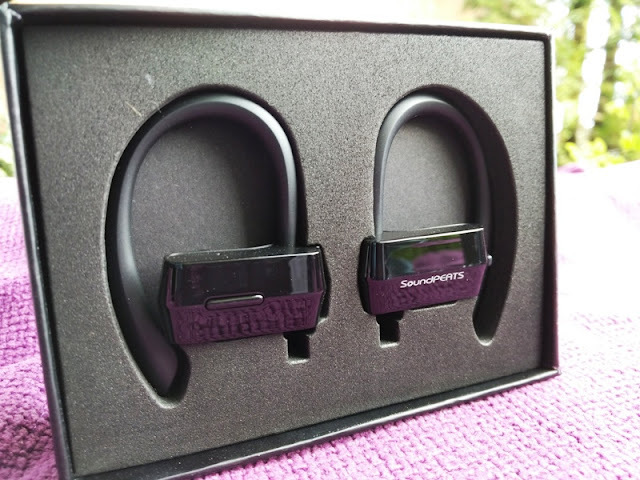 You'll be very pleased with these earphones by SoundPEATS! 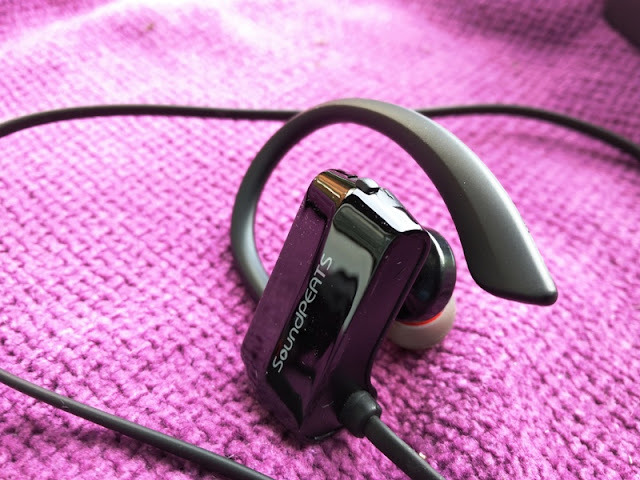 The SoundPEATS Q23 are also very lightweight (0.7oz) so you hardly even notice them on your ears. 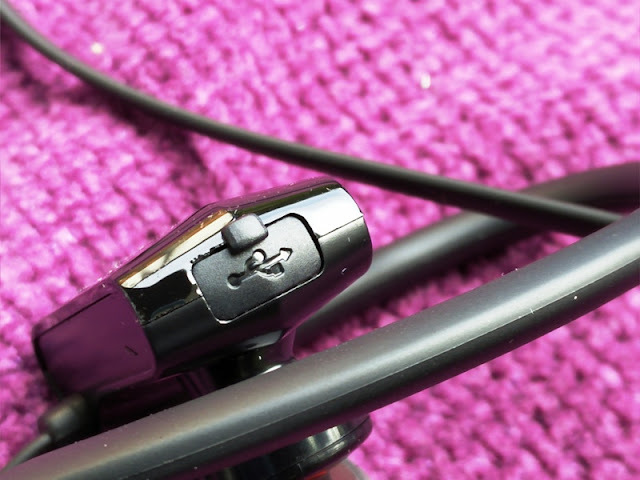 The Q23 are also sweat proof and they come with a rubber bit that seals the micro USB port out of any moisture. 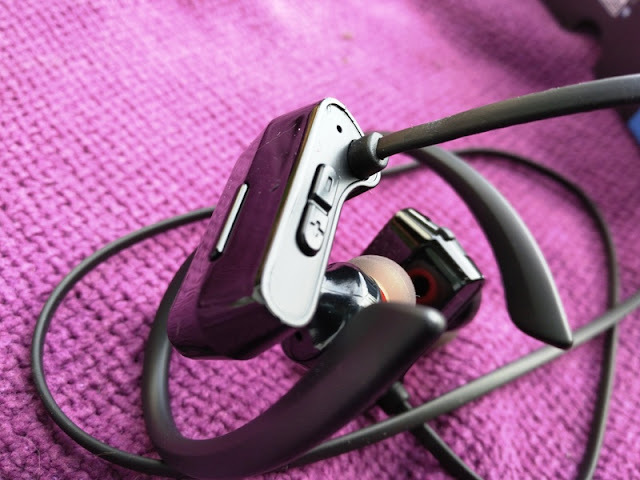 As far as user controls, the SoundPEATS Q23 feature three buttons, which are all located on the right earpiece. 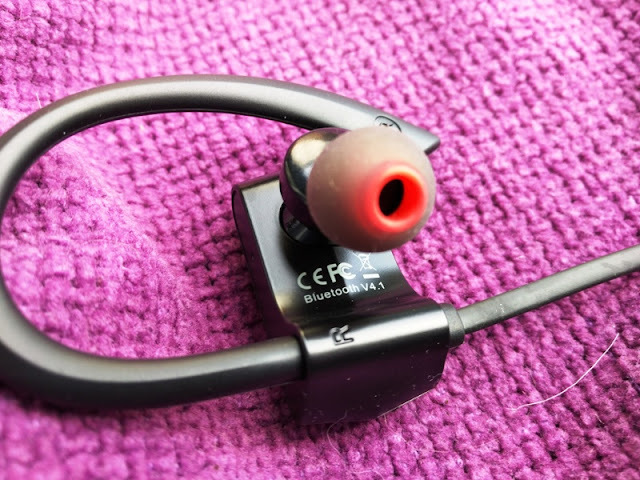 These include the power ON/OFF/PAIR button, located on the front of the earpiece, and two other buttons which are located on the bottom of the earpiece. 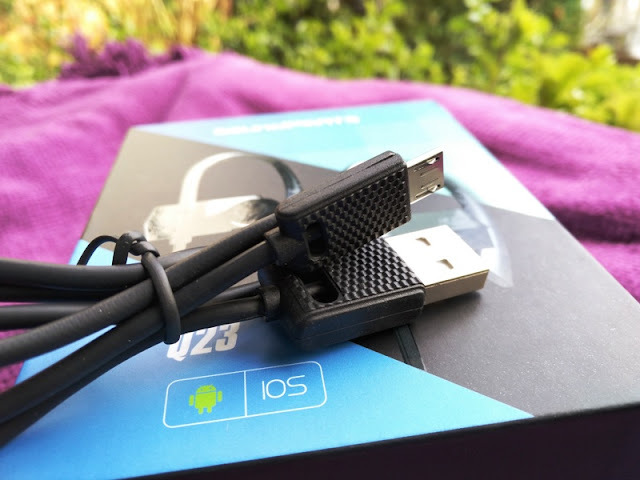 To pair, turn on the Bluetooth on your smartphone and press and hold the power button for several seconds (LEDS flash green and red) on the Q23. 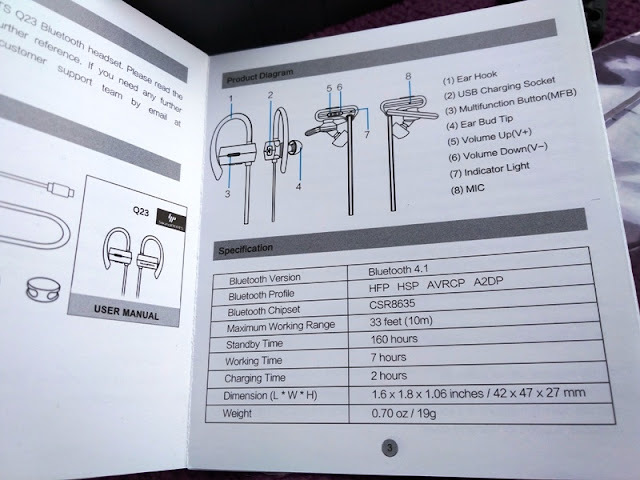 Then, search for Q23 under the "Bluetooth devices list". The "plus" and "minus" buttons double up as the volume and skip track buttons. To skip tracks forwards and backwards, long press and hold the buttons. To volume up or volume down, short press the buttons. Simple as that! 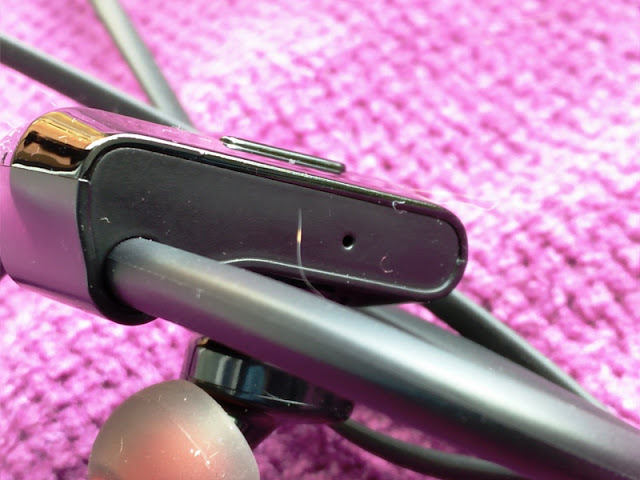 As far as the call functionality, the HD microphone itself is very good as it clearly picks up your voice. When talking to someone, the sound is delivered to both left and right earpieces and the background noise is cancelled out, which is great. 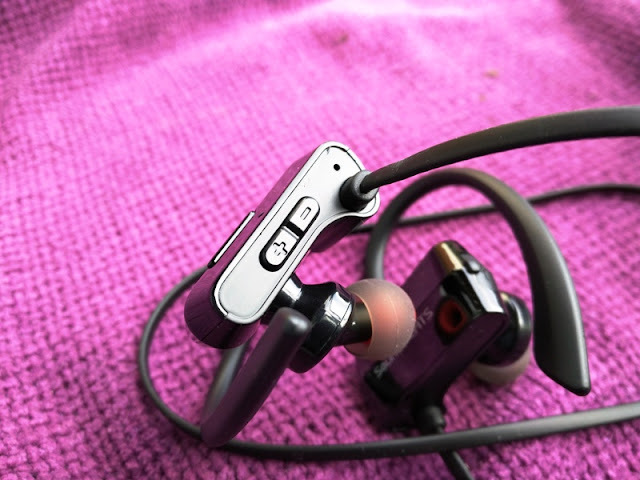 The sound quality produced by the SoundPEATS Q23 is also very impressive for a headphone of this range. The lows and highs are nicely balanced. 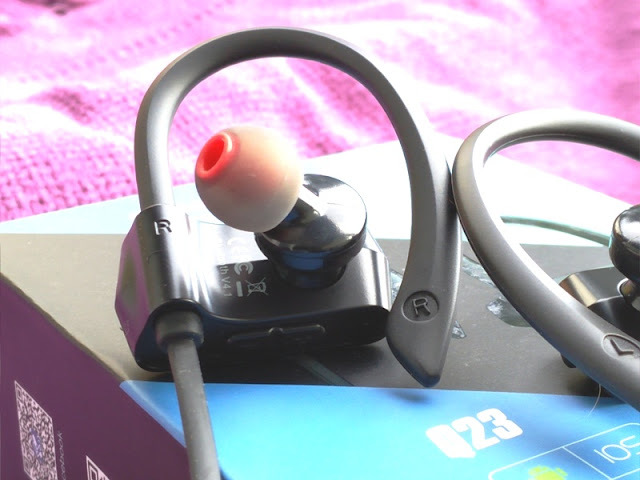 The Q23 Bluetooth earphones come with Bluetooth version 4.1 so wireless range is super stable and battery life lasts for many hours. 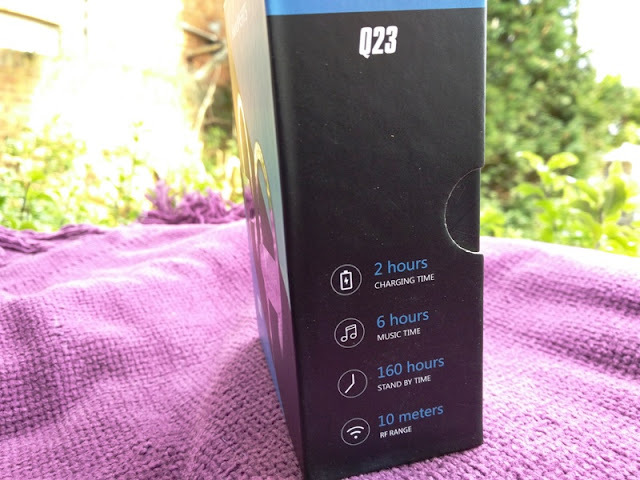 Full charge takes only 2 hours and you get a cool 7+ hours of playback/call time thanks to the built-in 160mAh rechargeable Li-polymer battery.